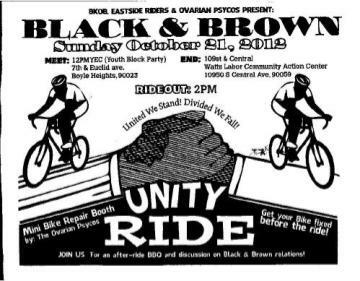 » Black & Brown Unity Ride Ride South L.A.
Join the Black & Brown Unity Ride on Sunday October 21st 2012! We will start off in Boyle Heights and finish at the Watts Labor Community Auction Center. Show your support and join us for this lovely Sunday outing!